Posted by Jon in NECA, SDCC 2013 with 6 comments. We knew it was coming, we just didn’t know it was coming so soon! 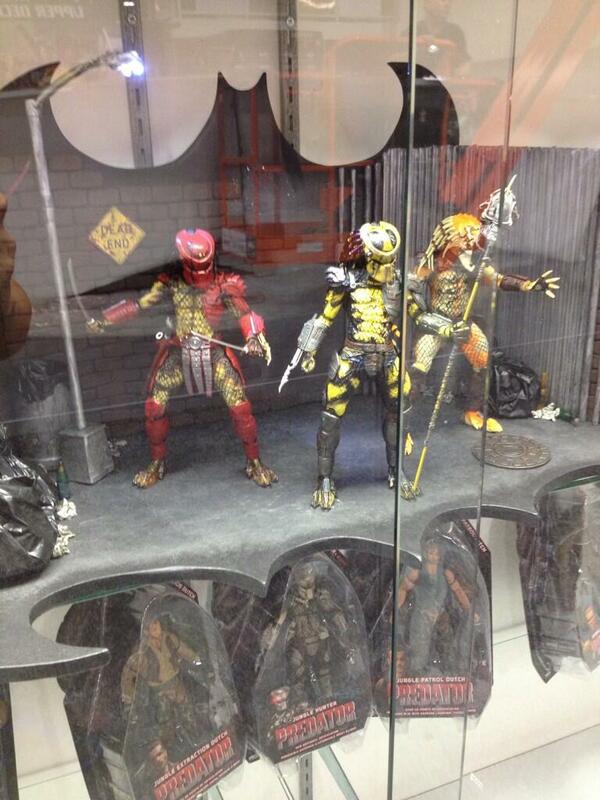 First picture of the “Wasp” Predator from the fan film “Dead End.” The Wasp joins Big Red (who came out earlier this year) and Albino (currently for sale at SDCC) to form the Predator trio from Dead End. Wasp will include the spear with an attached Alien head that can be seen in the behind the scenes picture above. We’ll keep you updated on where, when, and how you can get him as more details emerge! We’re keeping our eye on the San Diego Comic Convention coverage and filtering out the good stuff … or at least the stuff we think is cool! Check out the close up of Wasp’s accessory, the pike with the severed Alien head! The Albino is the only SDCC exclusive – the Wasp will see general retail. If you keep your eyes peeled over at Neca Club – Neca is selling their SDCC exclusives this year at that website for the regular price. Yeah hang on, aren’t we still friends!? Hey guys it’s me and i’m back! but guys why long time no speak? Oi Flutterlicious i’m talking to you!